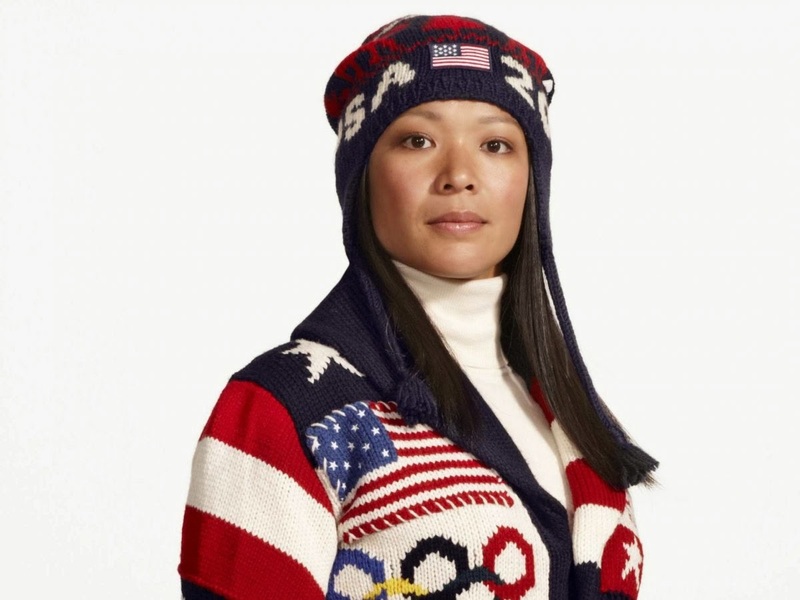 Lush Fab Glam Inspired Lifestyle For The Modern Woman: Women Who Inspire: Team USA Flag Bearer Julie Chu. Women Who Inspire: Team USA Flag Bearer Julie Chu. We will be watching the Sochi 2014 Olympic closing ceremony today February 23rd and while we are so proud of Team USA and all their athletic accomplishments at this year's Olympics ceremony. We are especially looking forward to seeing four-time Olympic ice hockey medalist Julie Chu who will lead team USA as the flag bearer in today's closing ceremony. Julie Chu is the second most decorated U.S female athlete in Olympic winter games history. Being chosen by her fellow Team USA members as the flag bearer shows that they understand the significance of and respect her accomplishments. With the Olympics coming to an end Julie Chu joins fellow Olympian Erin Hamlin as one of our Women Who Inspire. Like Erin, Julie Chu is also giving back to the program that got her started she hoped that watching her and the U.S women's hockey team win the silver medal at Sochi 'will inspire young girls to play hockey.' She said "If that’s the case, I think we’ve done our job here in the sense of representing our country and our sport”. Julie Chu has teamed up with The USA Hockey Foundation’s Try Hockey for Free Days to help fund free equipment so that kids across the country can experience the excitement of playing hockey for the very first time. It's an amazing cost-free experience for young girls and who knows one of them could be the next Julie Chu! Citi has donated $500,000 with their Every Step Of The Way Program to help olympic athletes like Julie Chu give back to the programs like the USA Hockey Foundation’s Try Hockey for Free Days that will help find and develop our future athletes. Help decide where Citi's substantial donation goes with just one click. Plus read on to watch Julie's journey to the Olympic arena and to learn more about Citi's Every Step Of The Way. "Julie grew up playing with the boys, now she's playing with the girls and representing Team USA in the gold medal game."